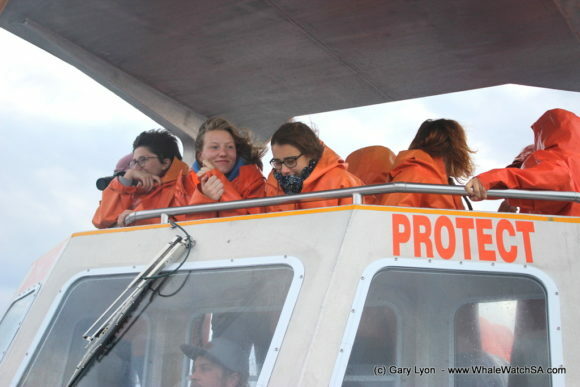 We had 4 Eco Marine Safari's today and spent some time with some Humpback Whales. With an easterly wind blowing, we set out on 4 eco safari’s today. 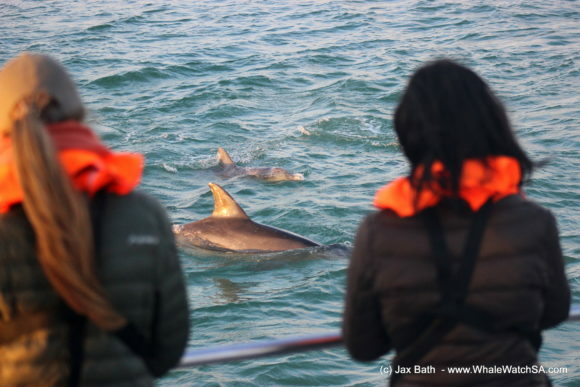 Our first tour of the day was treated to a sunrise on the water, which happened to include a small pod of Bottlenose Dolphins. We found these stunning little toothed whales on The Clyde Reef System. 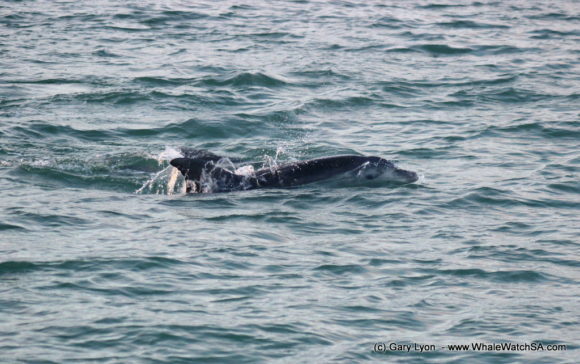 We spent some time with them, watching as they surfaced right next to our boat! 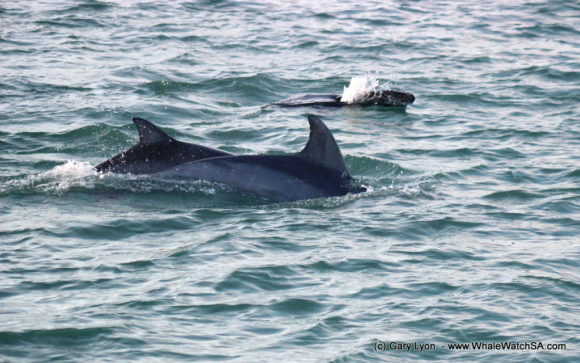 It is always a pleasure to find these friendly dolphins as they’re not in the bay all too often. 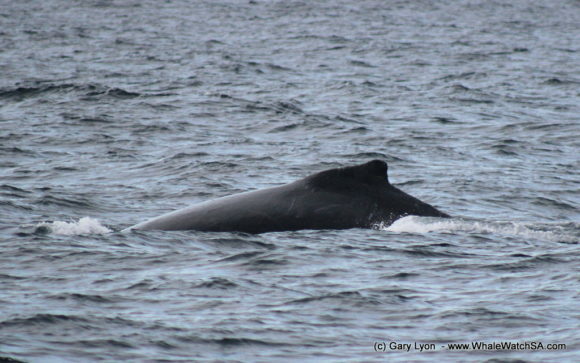 We also got to see 2 different species of whale, with a Southern Right popping up on route to the island. We watched this dude travel for a while before heading out into deeper water where we found a host of bird species and a Humpback Whale or two. 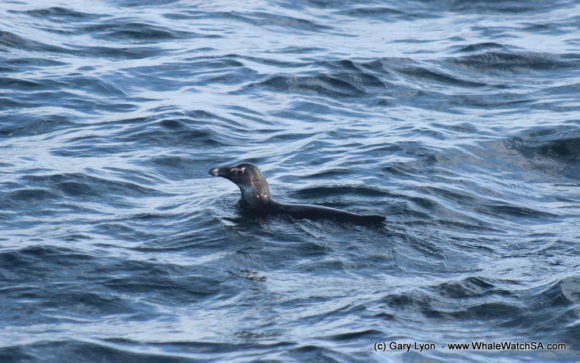 Sooty Shearwaters, Sub Antarctic Skuas and a variety of Terns greeted us giving away the presence of fish in the area. 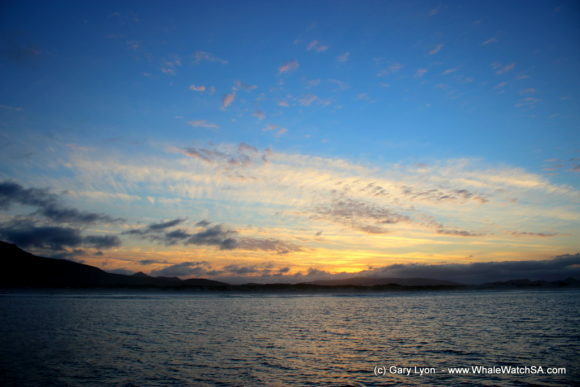 We also go to see a few migrating Humpback whales before stopping by our seals, Slashfin and then cruising home. 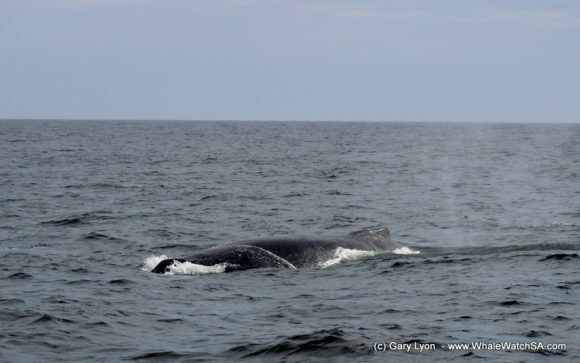 On trip two, we had a lovely sighting of a Humpback Whale moving east, waiting in anticipation every time the whale went a little deeper, in preparation for the gentle giant to break the surface again. 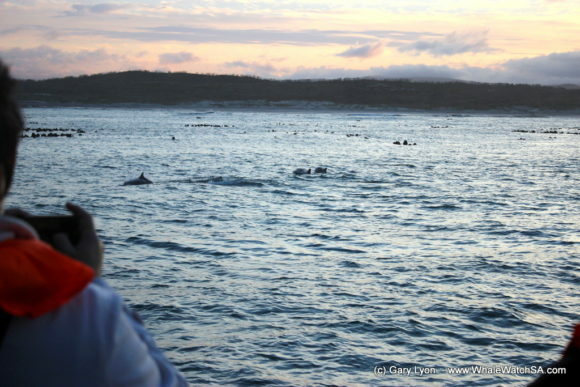 we also found some African Penguins during the sighting, although one might say that they found us. Two juvenile penguins approached the boat whilst we were watching out for the whale, and we were able to get a close up look at Africa’s only species of Penguin. 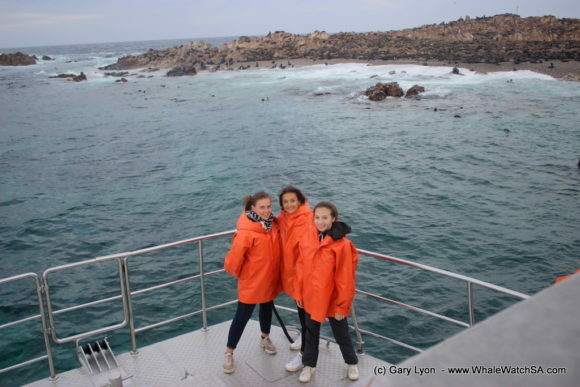 we head for geyser Rock next where we hung out with our favourite oceanic pups, the Cape Fur Seal. 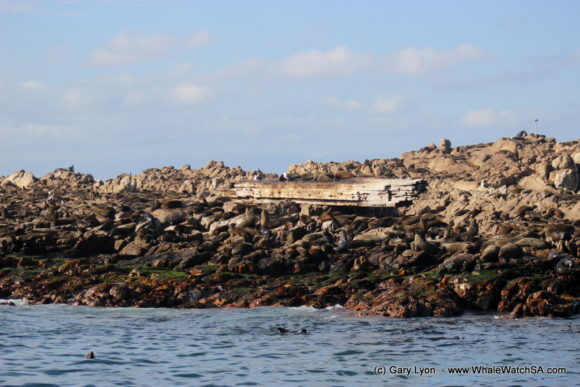 Once we had spent some time with these smelly seals, we stopped by Slashfin and then head on back to Kleinbaai harbour. 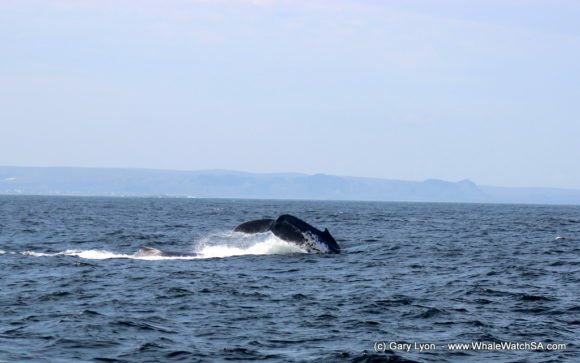 Our third tour also began with a sighting of some Humpback whales, this time a mating group who were on the move. One whale had some really distinctive white patterns on his side and it was incredible to see how fast he travelled in order to catch up with the group in front of him. 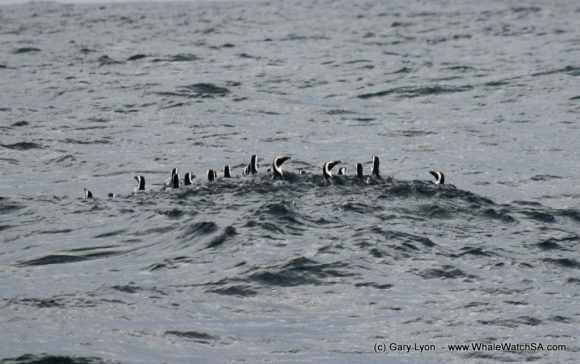 We also got some tail action from this group, as one animal flipped his flukes out the water to the delight of us all. 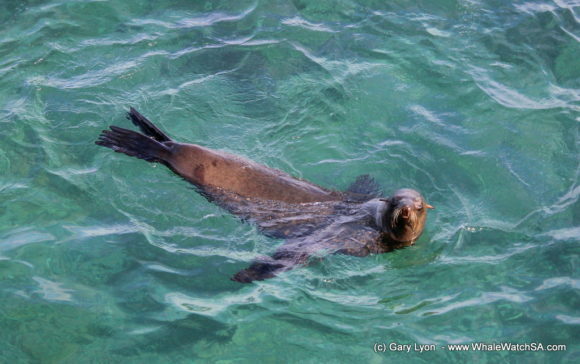 When we stopped at the seals, we had an unusual sighting of a seal pup playing with a shark egg, and also got to watch another pup do a bit of a slip and slide into a puddle of water. 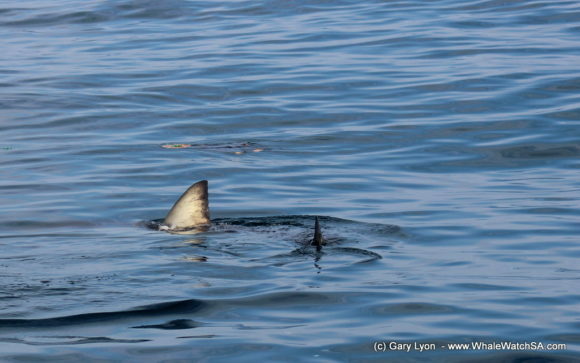 Our last stop for the trip was in the shallows, where we were lucky enough to spot a Great White Shark. 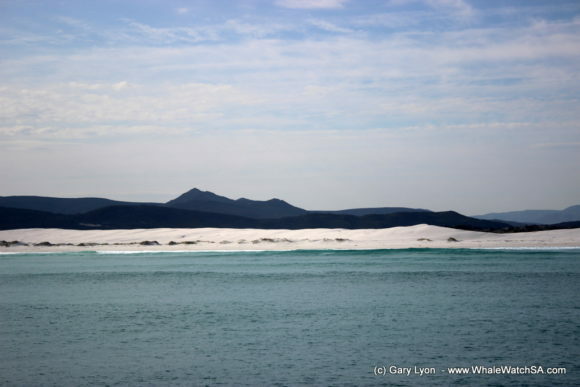 Trip 4 saw us heading towards Danger Point, where we caught up with 2 Humpback Whales. 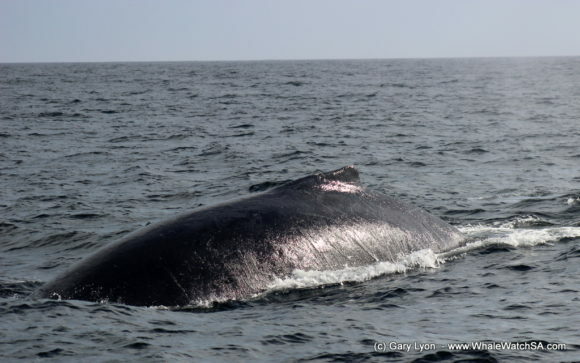 these animals were nice and relaxed and we got a few close views of these baleen beauties as they cruised past our boat. 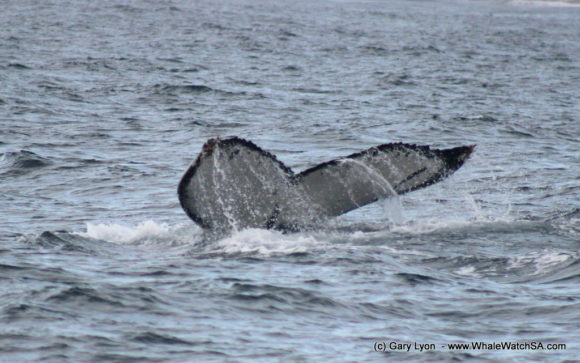 We were also lucky enough to view the tails of these whales a few times during the sighting. 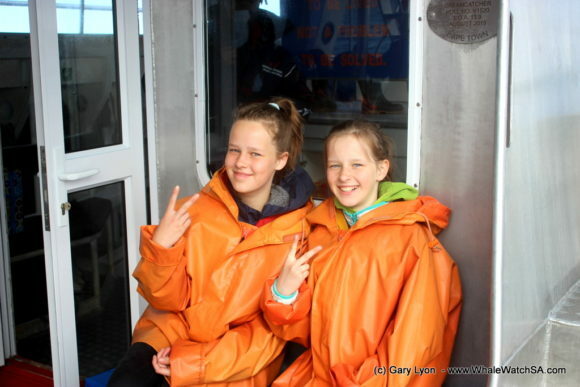 We then set our course for Shark Alley, travelling through the washing machine and having some fun riding the waves before giving our seal colony some TLC. 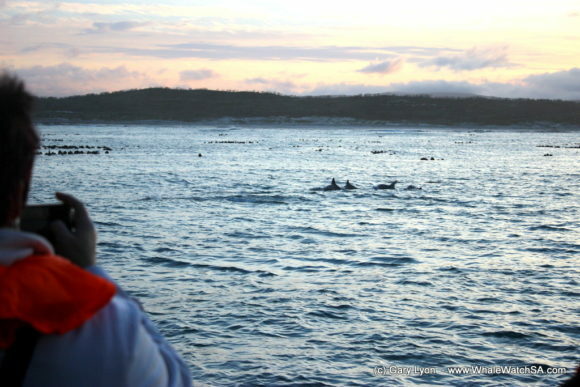 We finished off our tour with a sighting of a very large raft of African Penguins.